Consumers should now avoid all types of romaine lettuce, the CDC informed us, based on “new information” in the E. coli O157:H7 HUS outbreak that has sickened dozens in 16 states. 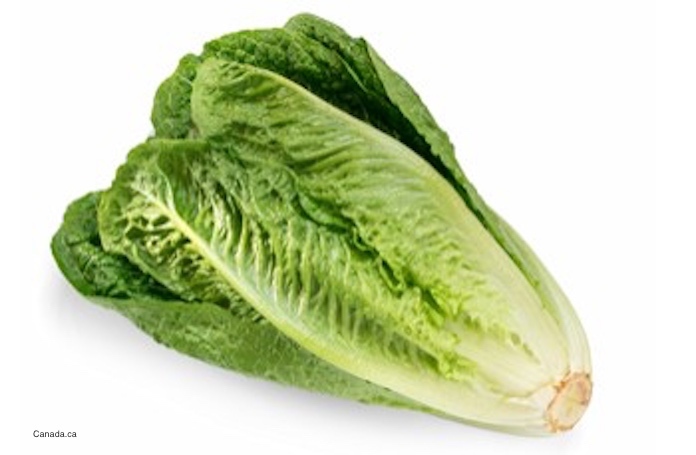 That information came from Alaska, where an E. coli O157:H7 Outbreak at the Anvil Mountain Correctional Center, which sickened 8 people, was linked to whole romaine lettuce heads. Consumers should not buy or eat romaine lettuce, either at a grocery store, deli, or restaurant, unless you can confirm it is not from Yuma, Arizona. That can be a difficult and perhaps impossible task. Product labels often don’t identify growing regions. If you have any store-bought romaine lettuce in your home, do not eat it. Throw it away, even if someone has eaten part of it and not gotten sick. It only takes 10 E. coli bacteria to make someone seriously ill. And the bacteria tend to cluster in spots many times smaller than the head of a pin. This warning includes whole heads, hearts of romaine, chopped romaine, and any salads or salad mixes that contain romaine lettuce. If you don’t know if the lettuce is romaine, throw it away. 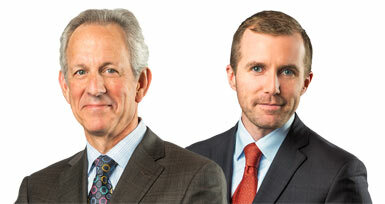 Fred Pritzker and Brendan Flaherty help people who have been sickened with E. coli O157:H7 infections and HUS. Call them at 1-888-377-8900. There is still no common grower, supplier, distributor, or brand identified in this outbreak. One restaurant in New Jersey was named as a possible facility in this outbreak, but no government officials has mentioned it since the first identification. The outbreak numbers have not changed from the update posted four days ago. There are 53 people in 16 states sick in this outbreak. Thirty-one of those patients have been hospitalized, which is a very high percentage for an E. coli outbreak. Five people have developed hemolytic uremic syndrome (HUS), a kind of kidney failure that can be life-threatening. This pathogenic bacteria produces compounds called Shiga toxins, which cause hemorrhagic colitis, which destroys the tissue lining the colon. That’s why one of the symptoms of an E. coli infection include bloody diarrhea. If the toxins get into the bloodstream, they destroy red blood cells. Those damaged cells stop working, which can cause anemia. When the cells get to the kidneys, they clog the tiny tubes in that organ, which then cause kidney failure. Everyone should know the symptoms of an E. coli O57:H7 infection. The main symptoms are severe and very painful abdominal cramps, and bloody or watery diarrhea that lasts for days. If this infection is treated in the wrong way, with antibiotics, a complication called hemolytic uremic syndrome (HUS) can developed. This means the kidneys have been affected. Symptoms of HUS include little urine output, pale skin (because of the anemia), lethargy, a skin rash, and easy bruising. If you have eaten romaine lettuce and have been experiencing similar symptoms, it’s important to get to a doctor immediately. A STEC (Shiga toxin-producing E. coli ) infection and hemolytic uremic syndrome can both be deadly. Pritzker Hageman, America’s food safety law firm, successfully represents people harmed by adulterated food products, such as romaine lettuce implicated in this E. coil O157:H7 HUS outbreak, throughout the United States. Its experienced and compassionate lawyers have won hundreds of millions of dollars for survivors of foodborne illness, including the largest verdict in American history for a person harmed by E. coli and hemolytic uremic syndrome. Does this include organic Romain? Yes, please avoid all types of romaine lettuce from the Yuma, Arizona region. Some experts say to avoid all romaine lettuce period, since it’s difficult to tell exactly where the lettuce you are buying was grown.